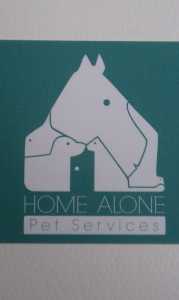 At Home Alone Pet Services we customize our services to meet your pet’s unique needs. Our commitment is to meet your animal’s every need and exceed your expectations. While we experience so much fun in working with our clients’ pets, we also treat your animals with love and deep respect as if they are our own. They become part of our family, so you can feel assured and worry-free that they are always being given exceptional care. We invite you to do two things: Have you and your pet(s) meet us, and talk with our references so that you can ask specific questions about why we are different at Home Alone Pet Services. Our highest priorities are your pet’s safety, happiness, and absolute comfort, along with your peace of mind.